I hope despite the heavy snow fall and the wide-spread power failures you are all well and had nevertheless a little bit of time for your meditation! Last week my internet connection broke (therefore no new post then) and on top of that the electricity was gone as well, fortunately only for a day. What an adventure! Luckily we were well prepared, being stuffed into three sweaters and enjoying an atmospheric candlelight dinner – always make the best of the situation you are in! Now, how many of you were in the same situation? Isn’t it quite an eye-opener how many things we use without ever thinking of it – the constant flow of information through various internet sources, chatting, skyping, e-mailing with family and friends, having a warm home, a warm bath! The list can fill some pages of the small small things that we use every day and take so much for granted. Well, think of yourself as kind of a walking battery filled with a certain amount of energy, an energy that you have to manage every day. We immediately feel it if we strain our battery too much, when we get overworked, tired, stressed, or anxious… All things that cost us precious energy. And the more energy we lose the more we put our well-being at risk. … and remove any blockages in them as well, even if they are at the other side of the world at the very moment! And I know that at each step I will be supported, protected and helped – really, I have experienced quite a number of “miracles” , so that even my friends were amazed how things were always working out so well for me! Which does not mean that times were always easy, no, but the way how problems got solved, or how I could suddenly deal with difficult situations were many times just fascinating! Curious how all that works? Keep in the loop! 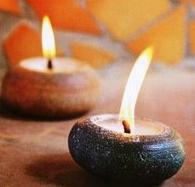 Follow the weekly meditation we are sending out, try it on a regular basis, experiment with it! If your Inner Energy is already awakened you can skip 1). 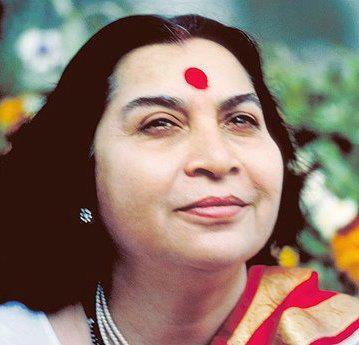 Otherwise please take the time once for the 20-minutes-meditation by the founder of Sahaja Meditation, Shri Mataji, where she leads you through the process of awakening this energy. If this energy is not awakened the rest will not work! Then hold your hand over the head and see if you feel vibrations coming out – it might feel like a cool breeze, or warm, maybe a tingling, or simply “somehow different”. End the meditation again with “Raising the Energy” and giving yourself “a bhandan” (shield of protection). Connect yourself to the mains – unlike a normal battery which loses energy with each charge you will gain energy as your meditations deepen! 10 minutes in the morning, 10 minutes in the evening and you may soon see for yourself that “things” start to become easier! ← What Has Star Trek To Do With Thoughtless Awareness? Thanks for your easy to follow instructions. You are a very good writer! I like the analogy you used in this piece!